Create a French inspired meal or dessert with the delicate and light texture of a homemade crepe. 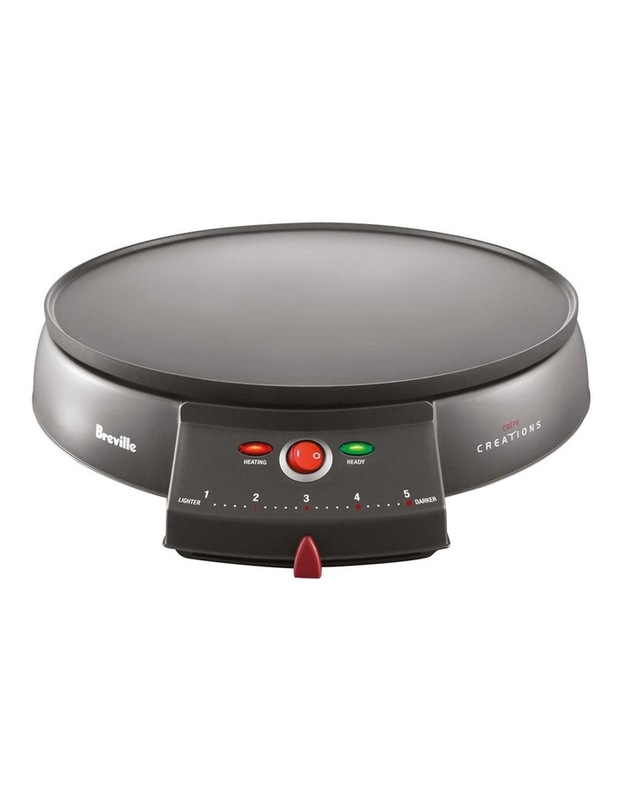 Breville Crepe Creations makes ready-to-enjoy crepes in seconds. The included batter tool assists in spreading batter thinly and evenly over the cooking plate to achieve an authentic result. The cooking plate is non-stick for healthy cooking and easy cleaning, and the temperature selection switch gives you control over how you want your masterpiece cooked. The large cooking plate is also perfect or pikelets and pancakes. Bon appetite!